Knead maida adding some water, oil , and pinch of salt. Now in a pan put some oil then add jira. After 1 min add chopped beans, carrot, paneer and salt to taste. Stir it for 4-5 and close the gas. Fill this mixture into the ball of kneaded maida. 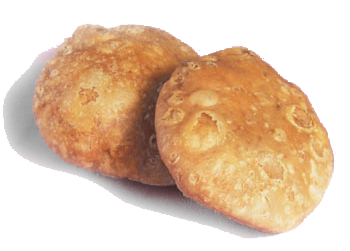 Spread it on a flat surface to make a shape of 2 inches round kachori. Heat the frying pan and fry the kachori both side till golden brown. Pallavi, What beans should we use. hi! this is simple and will definately try it but also share with us the diffrent delhi ki chat recepies,heard a lot abt delhi ki chat. the same filling can be stuffed in lifafa . the refine flour rotis can be shaped into envelopes which means lifafa in hindi. actually i was searching for lifafa recipe. this filling works out good! how much oil & salt to put in the Flour(maida) while making dough for the kachoris? Veg. kachori recipe, appears very mouth watering ,Iwill try making it for the immediate occasion. Thanks. can u explain in detail,i cant understand what to do? No need to deep fry it. It is same as you make stuffed paratha. do we need to deep fry the kachori . n how to pour vege in it , can u explain it in detail .